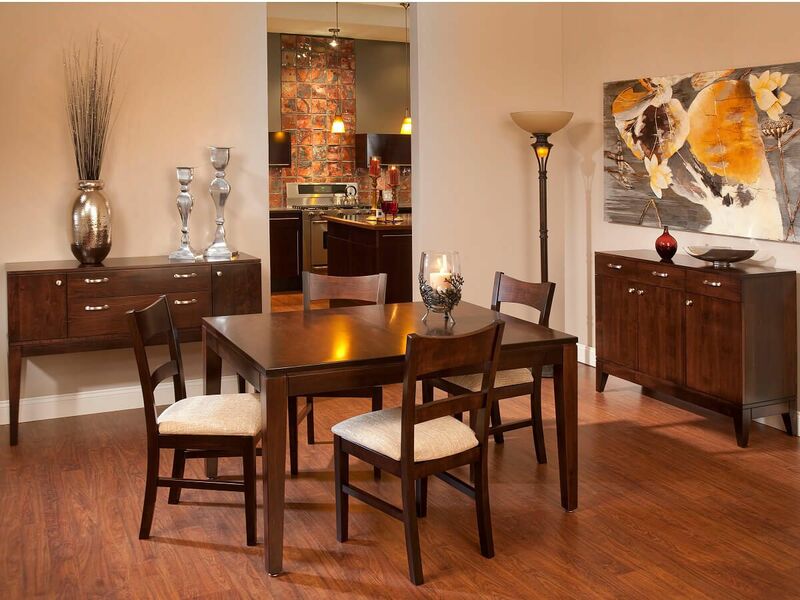 A timeless sideboard is the final touch on any modern dining room. 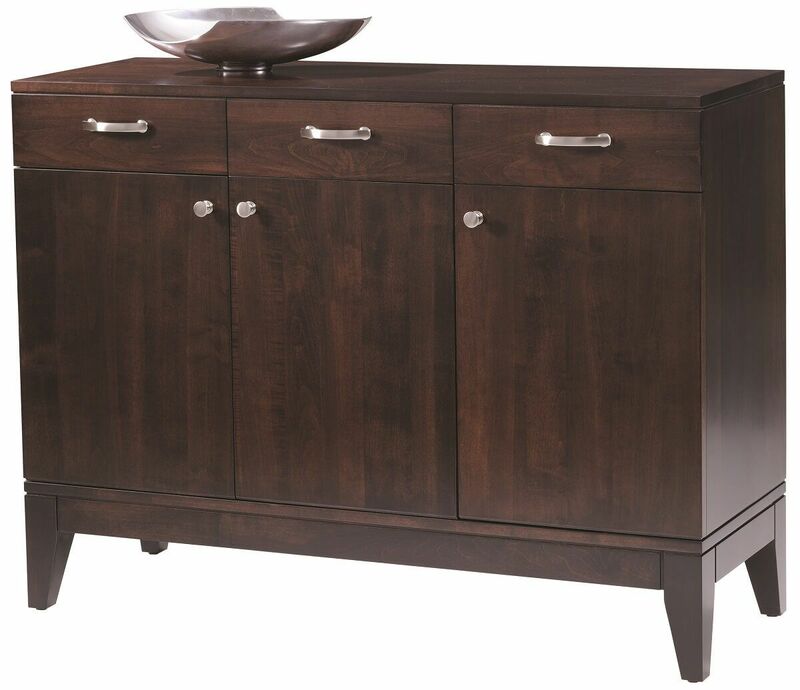 Our Cantoni Modern Buffet is made from the select American hardwood you select. The Cantoni Modern Buffet is handcrafted by Countryside's experienced Amish craftsmen from the finest solid wood materials to ensure a long and highly functional life. This contemporary dining room buffet features dovetailed drawers mounted on soft close, full extension drawer slides for convenience and ease of use. The doors and drawers are uniquely fitted flush with the solid wood top and base trim, achieving a very sleek and modern look. If you prefer the Cantoni Modern Buffet as pictured, select Brown Maple as your wood type and Venezuelan Chocolate as your wood finish.